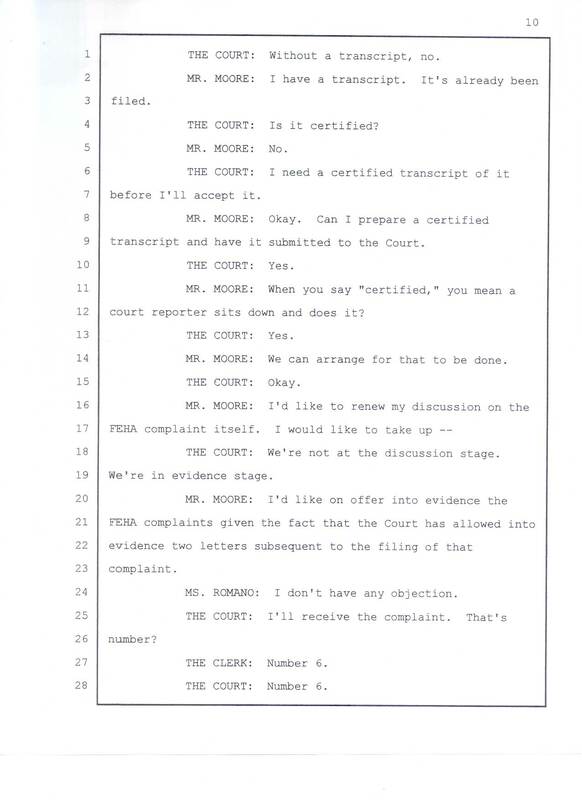 1 		THE COURT: Without a transcript, no. 4 		THE COURT: Is it certified? 7  before I'll accept it. 9  transcript and have it submitted to the Court. 12 court reporter sits down and does it? 14 		MR. MOORE; We can arrange for that to be done. 18 		THE COURT: We're not at the discussion stage. 19 We're in evidence stage. 24 		MS. ROMANO: I don't have any objection. 27 		THE CLERK: Number 6. 28 		THE COURT: Number 6.